Payroll services help businesses save costs and streamline their operations. But how is this exactly achieved? Can you, as a small or medium-sized organization, really look to benefit from payroll outsourcing? Or is payroll processing something you better handle yourself? Any kind of outsourcing is all about offloading your company’s responsibilities to expert hands. That is obviously a huge advantage, if the charges are lesser than the costs you’d have to incur by your business handling the responsibility by itself. The more extensive the responsibilities outsourced, the greater the costs and resources saved. 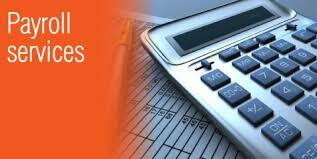 Payroll processing is one such extensive responsibility. Payroll services form part of human resource management, which deals with effective management of one of your most important assets, your people. Their motivation and effective performance is vital to the productivity of your organization and its long term health. It is therefore important to ensure that payroll, which deals with not only handing their paychecks but also related tax filing responsibilities, is handled well. Though payroll administration is important for every Organization, it is basically a non-core task that does not directly deal with a company’s main business. • If an organization would handle payroll and other HR management responsibilities by itself, it would need to set apart manpower and resources for it. • For small and medium-sized organizations that could be particularly tough. • Not only would it consume too many resources, but would also sometimes lead your organization to lose focus from its core tasks. With payroll outsourcing though, those worries can be negated and you can have more resources for your core processes. You can also ensure greater efficiency in payroll administration and the related tax filing tasks. These need to be done well to prevent legal penalties. You can get your workforce devoted to your core business which will directly influence productivity and earnings. It all depends on the payroll services by a reliable payroll provider or a PEO. The PEO is capable of handling payroll processing and other comprehensive HR management responsibilities. Corporate payroll services by a PEO are customizable to meet the unique requirements every organization based on its size, earnings, scale of operation, geographic spread of employees, and other factors. The experts at the PEO can understand your needs, expectations and goals and provide payroll services that are just right for your organization. Corporate payroll services help reduce your operating costs and enable your organization to attain greater economies of scale. With more focus on your core processes your functioning gets streamlined, your staff gets monitored more effectively so that their performance builds up and you get to increase your productivity and earnings at lesser costs. This is how payroll services help businesses save costs and streamline their operations. This entry was posted in Human Resources and tagged Business Process Outsourcing, Human Resource Administration. Hiring payroll services is an ideal and the most excellent option for small scale industries or firms which are creating jobs for other people. With these services, you will actually have a great deal of responsibilities enabling that your entire employees are paid accurately. I discovered that payroll services helps in reducing company”work and efforts.But i think many factors should be considered before taking payroll services for your business such as it should be simple,accurate and efficient.